My Creative Existence: December 09 Inkurable Stampers Challenge! 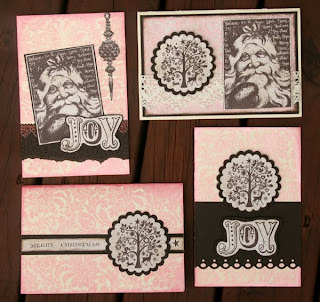 December 09 Inkurable Stampers Challenge! Well, the December challenge for Inkurable Stampers is finally up, and this time it's the colour combo of Cream, Brown, and Pink! Just like Neapolitan Ice Cream! Yummo! Entries are due by midnight 31st December 2009, and all entry details and participation guidelines can be found on the blog!